Are you ready for cuteness overload? 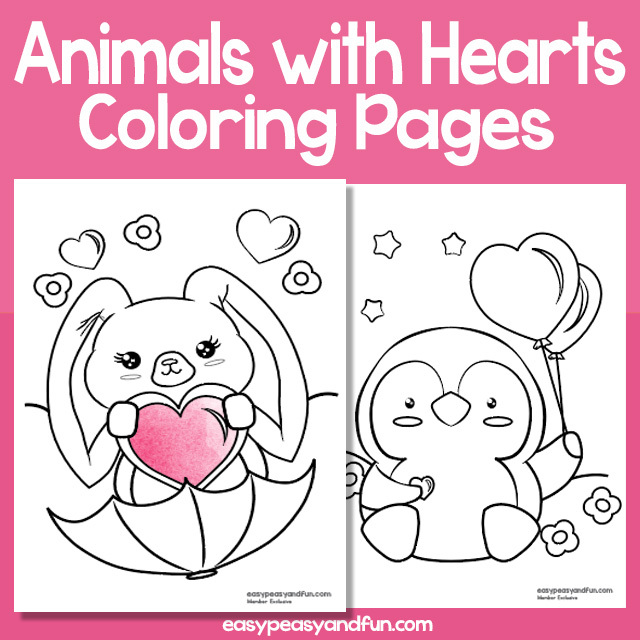 These adorable coloring pages are perfect to use around Valentine’s day as they feature a lot of cute animals with lots of hearts. We have an adorable little fox, sitting on a flower and holding a heart (surrounded with a ton of little hearts. Then there’s a panda bear falling in love (oh those eyes). A happy head over heels in love kitten is next (kawaii). And there’s also a bunny in love as well as a penguin with heart balloons.